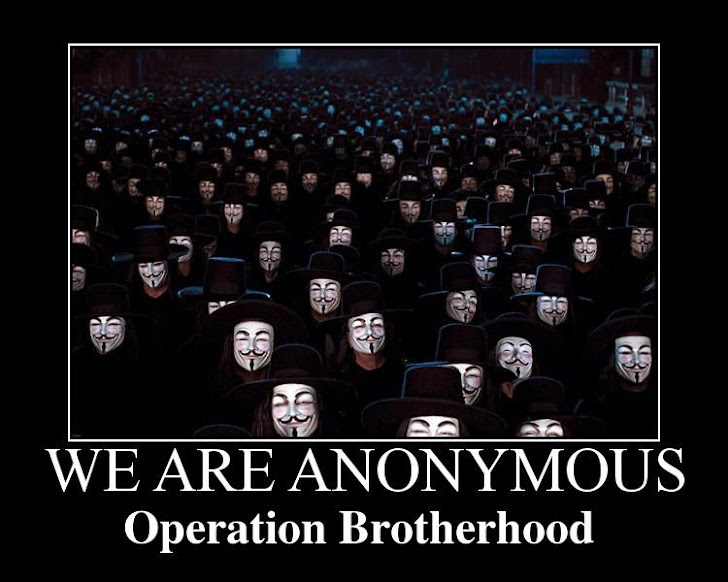 Anonymous Hackers take down the The Muslim Brotherhood websites. The hacking group had made an announcement Tuesday in which they threatened to launch “Operation Brotherhood Takedown,” on all Brotherhood sites at 8pm on Friday, 11 November. As of 2:24 PM EST, ikhwanonline.com IS DOWN. As of 2:26 PM EST, ikhwanweb.com IS DOWN. The Brotherhood claimed in a statement released on Saturday morning that the attacks were coming from Germany, France, Slovakia and San Francisco in the US, with 2000-6000 hits per second. The hackers later escalated their attack on the site to 380 thousand hits per second.Under the overload, four of the group’s websites were forced down temporarily.Anonymous is made up of a group of unidentified hackers who have previously attacked Israeli, Russian and NATO sites. 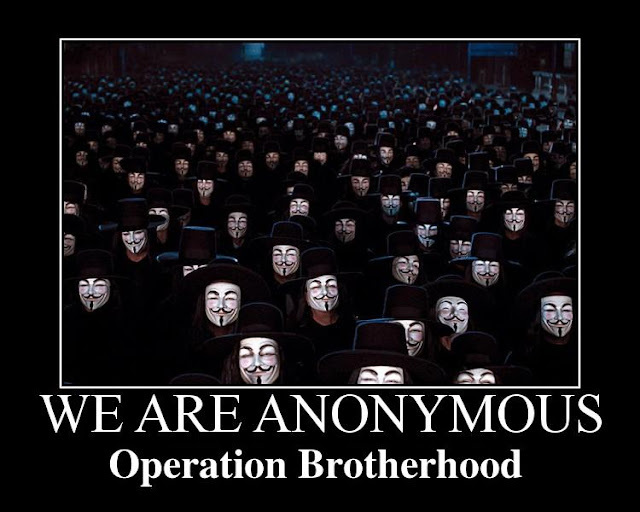 "...Therefore, Anonymous has decided to destroy the Muslim Brotherhood. We shall proceed to dismantle any form of its organization from the internet. Nothing will stop us. We will show no mercy." The Muslim Brotherhood started as a benevolent group of people with fair and just intentions. However, as decades went by, corruption seized its mission of good and turned it into a power-hungry organization bent on taking over soverign arab states in its quest to seize power from them. They say this is necessary in order to unify the muslim nations into one islamic state, which is a lie. Their tactics are very similar to tactics used by the Church of Scientology and ideas implemented in Freemasonry. A person may join only when presented in front of the Grand Master, or the Murshid, and is ordered to adhere to a solemn vow, to follow all orders of the Murshid, without hesitation. They claim to be anti-freemasonry, however they follow distinct principles taken from it. If you were to leave the Brotherhood or present any threat to it, they would take it to offense and begin to intimidate you and put your life as well as your loved ones in danger. This has been experienced by many former followers of the Brotherhood, including citizens in the United States and Great Britain who realized they made a terrible mistake. The Muslim Brotherhood is a threat that must be dealt with. To those listening now, this is not a threat towards the religion of Islam. The Muslim Brotherhood, as well as terrorist organizations affiliating with the religion, defiled and destroyed the very essence of what the religion preaches. Therefore, the Muslim Brotherhood does not represent the true ideas of Islam. In our collective, many of us are Muslim, yet we fight against the corruption in society and the injustice that comes with it.